Spacious newly renovated one-bedroom corner unit has a wall of oversized-windows and dining alcove. The living and dinging room are sun-filled all day long with an excellent open view. Newly renovated this unit, is in excellent, move-in condition. The custom galley kitchen features beautiful granite counters and custom backsplash, with modern glass cabinetry and stainless steal appliances. This kitchen is both beautiful and highly functional. 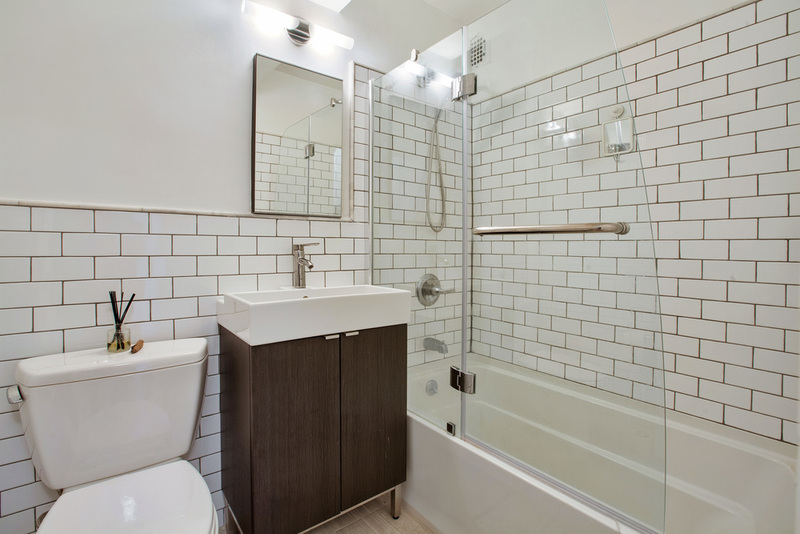 The brand new bathroom has subway tiles as well as a glass enclosed shower. The oversized corner bedroom can easily fit a king sized bed, both the bedroom and throughout the apartment there is an abundance of closet and storage space with two huge walk-in closets. Maintenance includes all utilities (heat, hot water, electric and gas)! Kingsview Homes is a peaceful gated community with parking, 24-hour private security service, central laundry room per building, storage, playground and beautiful, serene landscaped gardens.Conveniently located, this complex is just steps to exciting amenities and attractions this area has to offer such as: Ft. Greene park, BAM, Barclays Center, Atlantic mall, international cuisine and shopping. Public transportation is just a stone-throw away with trains 2,3,4,5,A,C,D,E,J,M,Q,B,R,N. THIS COOP HAS A NO PET POLICY.